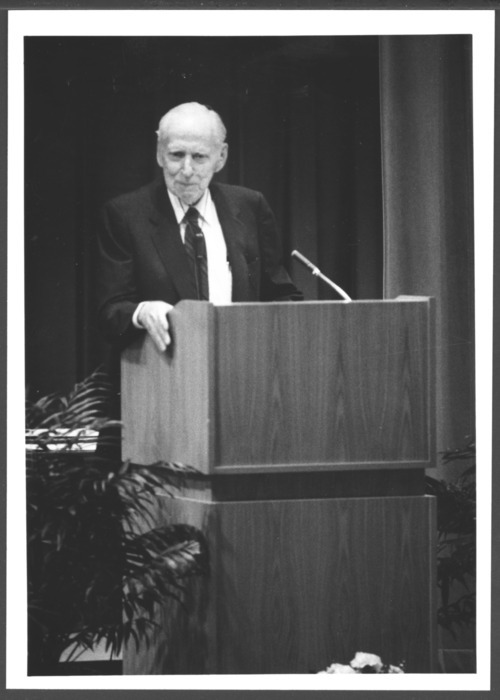 Dr. Murray Bowen is shown speaking at the 1985 graduation of students from the Menninger School of Psychiatry. He had trained at the Menninger Clinic and was a pioneer in family therapy and systemic therapies. He was also on the faculty of Georgetown University.